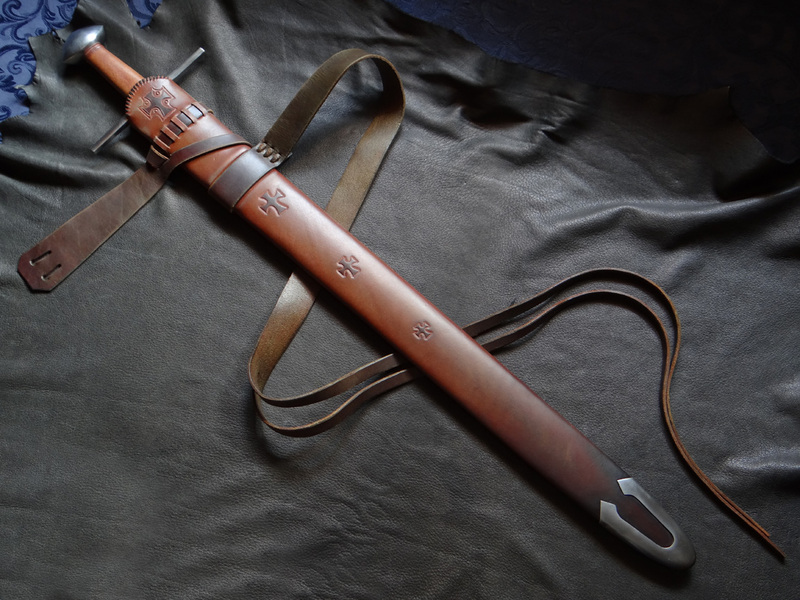 Scabbards could often be fancier and more expensive than the swords that they sheathed. That isn't necessarily true these days - it isn't unusual for a sword to have to do withot one. Nevertheless, show us your scabbards, fancy or plain, hopefully along with the swords that they dress up. 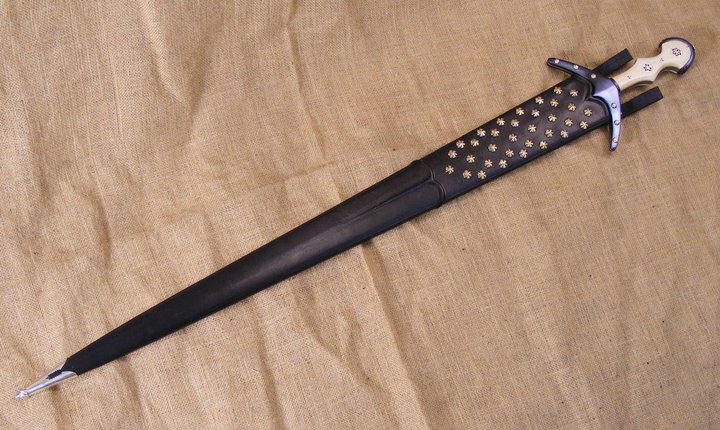 First, here is a scabbard made for a DT5160 by Eric McHugh, back in the days that he worked for Albion. I like it better sheathing an A&A Milanese Rapier, which it fits fairly well. 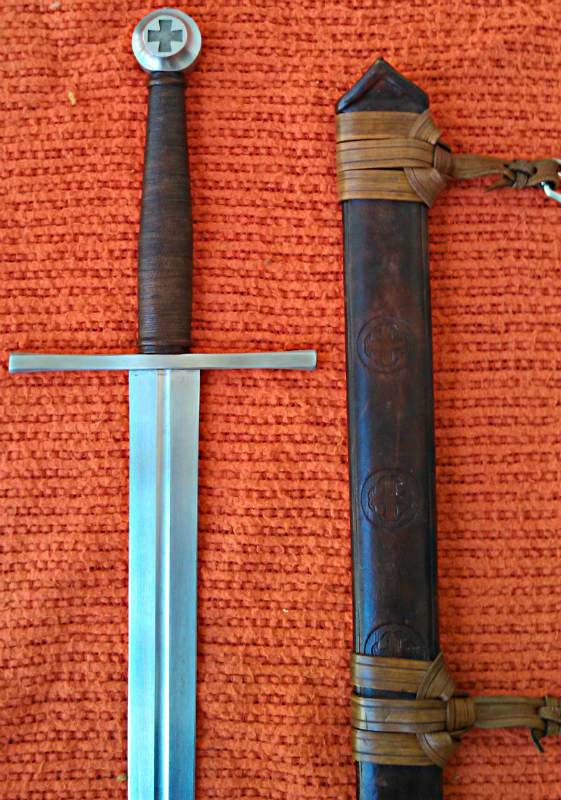 Awhile back I won a sword from Sonny Suttles' Prototype Valiant Templar Contest. 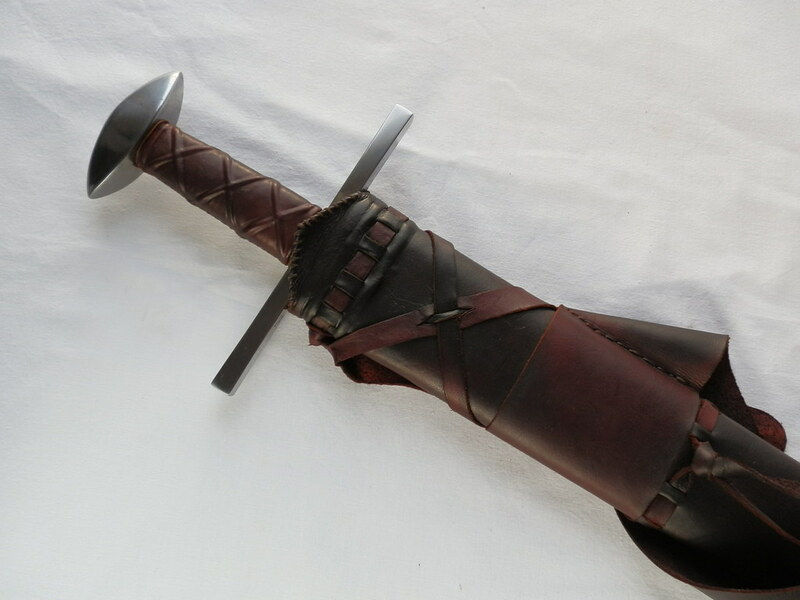 It has an ATrim made AT1415, XIIa blade with grip and scabbard made by Sonny. It's a very nimble sword. 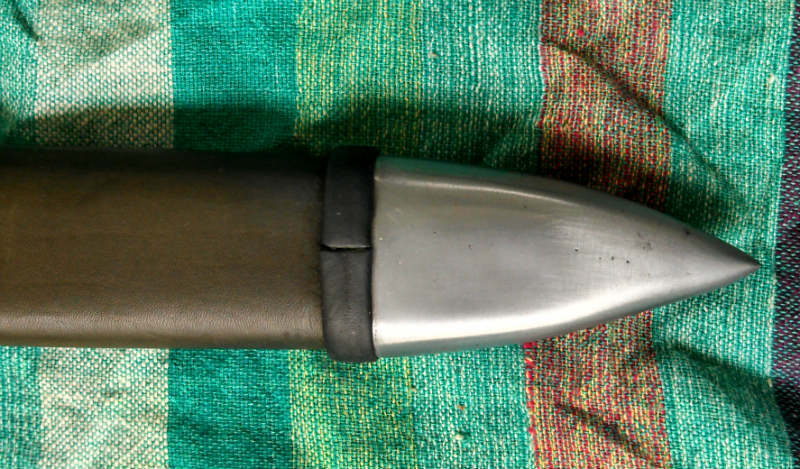 Here is a scabbard that DBK just finished up for me. 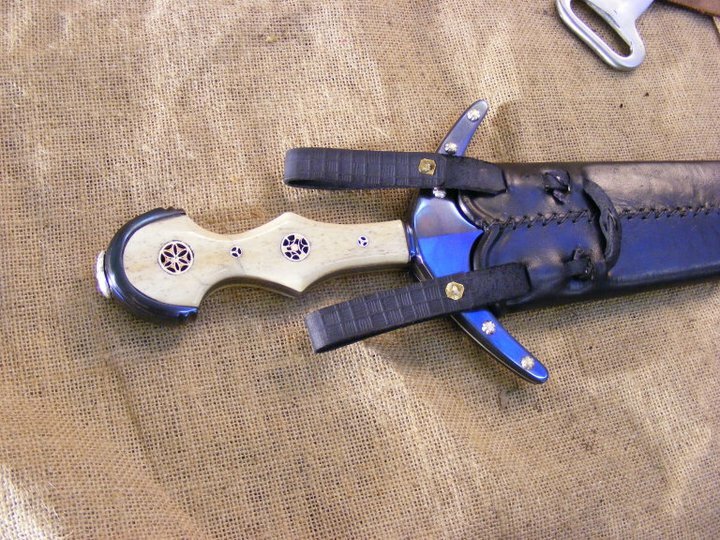 It was inspired by the Isle of Man scabbards from the Cronk Moar and Ballateare Viking Burials. Sadly, scabbards seldom fit more that one sword. 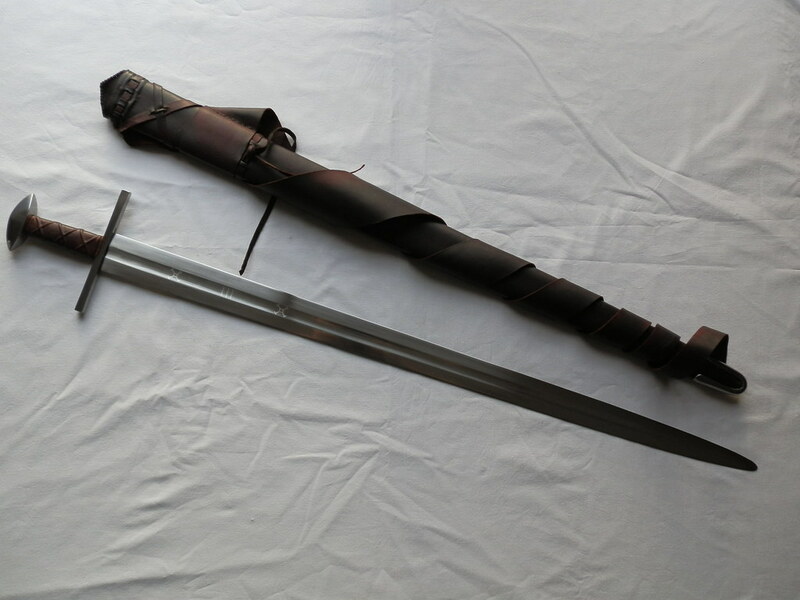 I lucked out with two swords that do just that, both made by Arms and Armor - a late 17th century Flemish Campaign sword and a mid 17th century dutch Walloon. 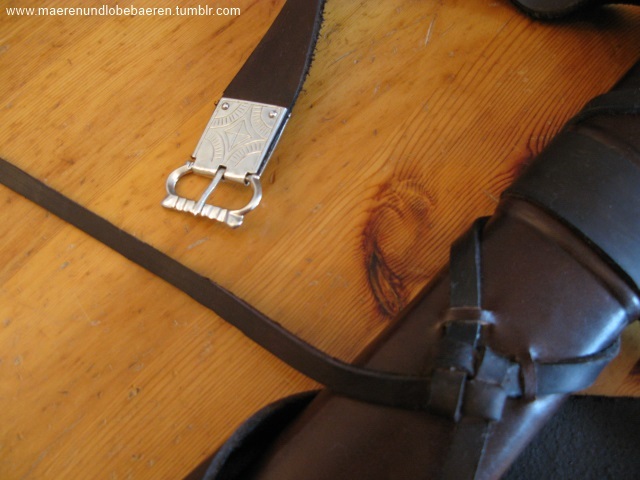 The scabbard has a very interesting chape. That's a nice one, Robin. Who made that Viking sword? 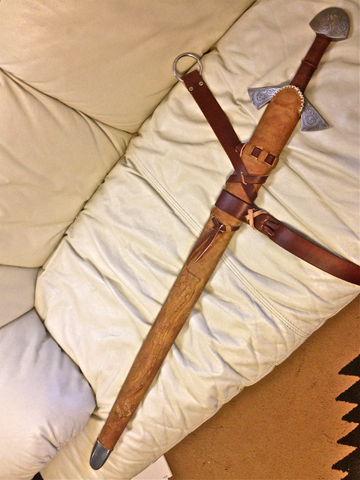 Here is my premier scabbard, a DBK made by Brian Kunz, dressing up an Albion Oakeshott. 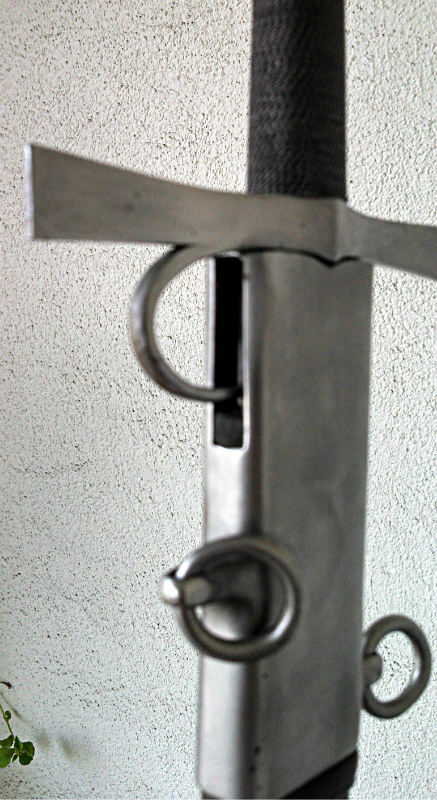 The Oakeshott is an overlooked model, kind of plain, but it is one of the sweetest handling swords around. Michael Pikula. It was a custom project for Tim Lison. I picked it up from Tim sometime last year. One of the "rules" I have for my collection is that all swords must have a scabbard. I am willing to give a sword a pass long enough to get money together or wait for a slot to open up in a queue, but for a sword to be a long term addition it must have "clothes". I think scabbards are often overlooked, which is a shame. To me, a sword seems incomplete without one. This is another sword I acquired from Tim Lison. It is a Robert Moc type XII with silver inlay. Robert does very nice scabbards for his swords. It is based on a sculptural depiction from Germany I believe. A couple that I don't think I posted when I made them, scabbards for a pair of late Roman spathae with fittings taken from excavated examples. First sword is an eagle headed spatha made by Tim Noyes at Heron (with pommel modeled and cast by Toby Whitty at Silver Wyvern). I don't know who made the other one. And one of those fiddly 'three split' High medieval suspensions that I finished a couple of weeks ago. Not overdone, matching the sword in style. First post, so it had to post the fanciest one I could find! Talk about the scabbard being ALMOST as ornate as the sword itself. It tries, but ultimately falls short. There are more pics as well, if anyone is curious about the other details. It is a U.S. Civil War Presentation sword , with too much history and detail to list all at once, but consists of a gold-washed Damascene blade and highly detailed silver Liberty hilt. 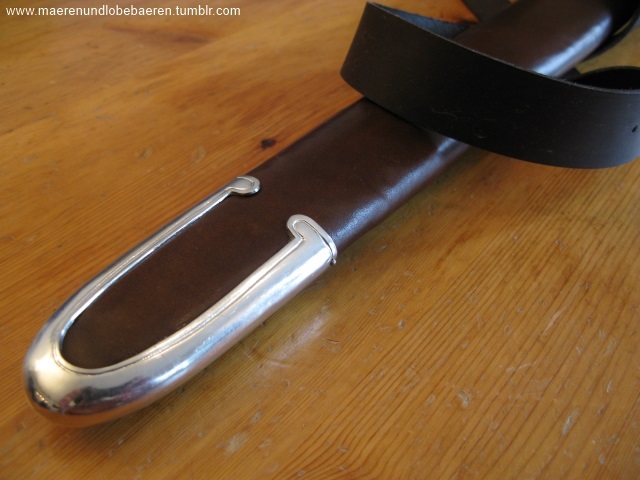 A close up of the scabbard. 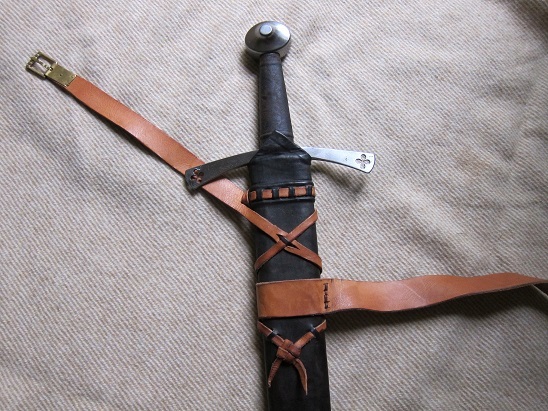 A scabbard that I made for my Dad's Father's Day gift: the Ulvbane Sword. More than ten years ago, the Czech Republic company, Armart made me a custom sword replicating Oakeshott's, Records, XIX.7. They later turned it into a production model. It's a pretty good sword, though not in the class of the Albion Condottiere. Armart did make a very cool scabbard to go with it, though I'm not sure that early 15th century versions looked like that. One difficult task was to find a way to fit a sword with a finger ring into a scabbard. I'd like to add my first scabbard, I made two years ago for my one handed blunt, made by Jiri Krondak. 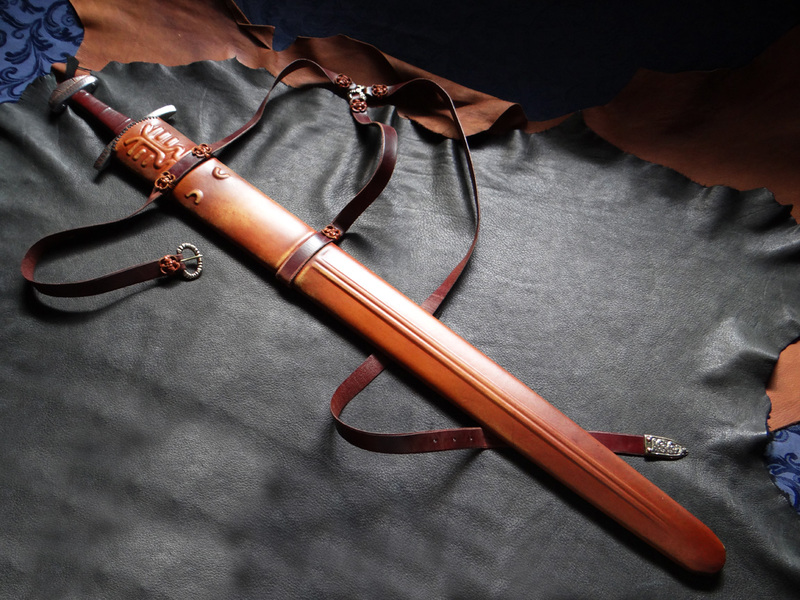 The scabbard has a wooden core, lined with rabbit fur. The outer leather is not glued but, stitched onto the core, which is held together by strips of linnen, glued into place with bone glue. All metal parts are mady by Holger Ratsdorf after original finds from the13th century. Tod and David do great work, eh? I'm more than happy with both scabbards. Both are very tight but keep the blade from getting dull. There is room in there for the edges. I've seen some that don't have any room... and I like to cut, so I appreciate the bit of space.